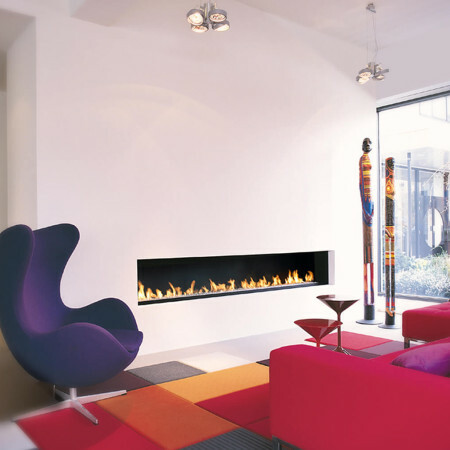 A unique double sided gas fire installed at The Sheraton Hotel in London. The fireplace shown incorporates a 1900mm full length dancing flame burner and this double sided gas fire can be enjoyed from both sides of this lounge/bar area. This particular installation has a custom made brushed stainless steel finishing trim around the opening which finishes it off beautifully. 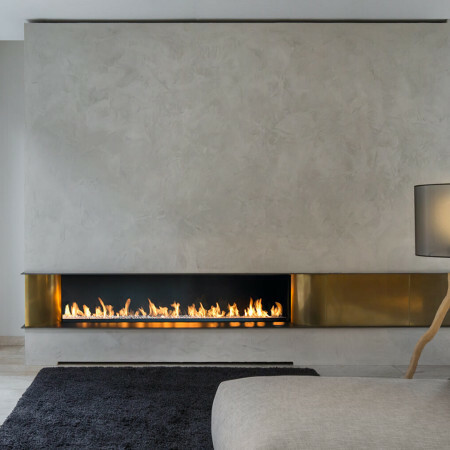 This kind of double sided gas fire installation is stunning between two spaces and with burner lengths of up to 2.5m possible this is beautiful designer, feature fireplace.